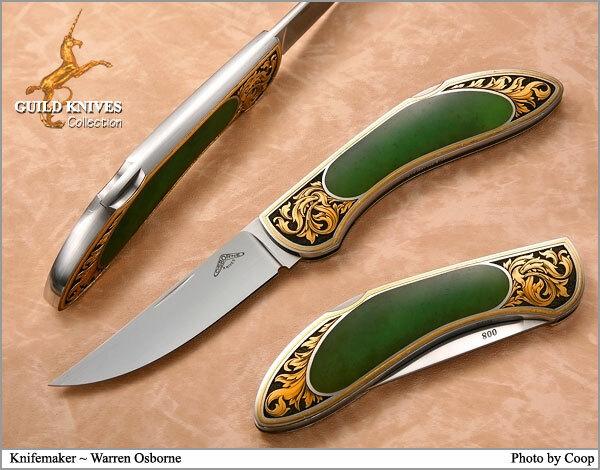 Engraver Lynton Mckenzie is considered one of the all-time greats in the field of engraving. He has taught many of todayâ€™s top engravers. Setting off Lyntonâ€™s 24K Gold work is an interframe of fine Imperial Chinese Apple Green Jade. An all-time classic piece. About as classy as you can get.